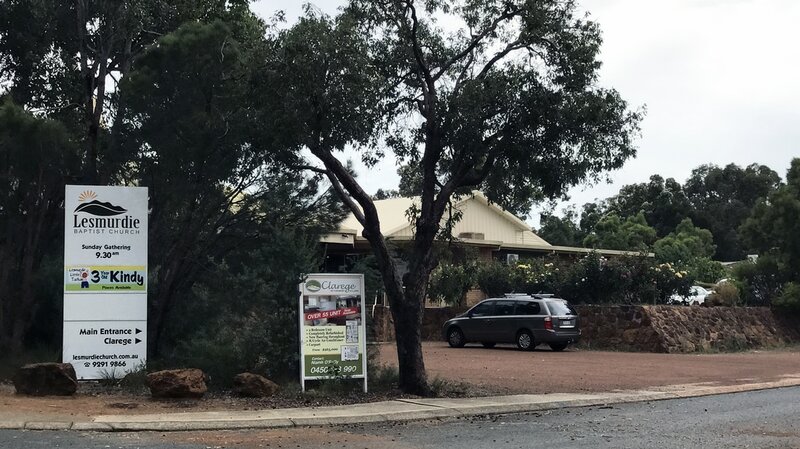 Lesmurdie Baptist Church is located at 1 Varley St, Lesmurdie, in the beautiful hills region of Perth, about 30 minutes drive from the centre of Perth. From Lesmurdie and Kalamunda take Lesmurdie Road from Canning Road. Travel 3.3 kms then turn right into Brady Road. We are on the corner of Brady Road and Varley Street. From Forrestfield, Wattle Grove and the Perth suburbs take Welshpool Road East up Lesmurdie Hill and turn left into Lesmurdie Road. Travel 0.6 kms then turn left into Brady Road. We are on the corner of Brady Road and Varley Street. Contact us, or find out more about our Worship Gatherings.